POS systems have come a long way in the last decade and now do more than payment processing. The right POS system can help you schedule employees, manage inventory, and deliver a better customer experience. The right point of sale system can make all the difference in running your restaurant efficiently but the wrong system can hold you back. Here’s what you should look for in a new POS system for your restaurant. Teamwork is important in a restaurant to manage the very different tasks of the front and back of the house. Without good communication, there is bound to be a disparity in efficiency and service. A restaurant POS system can help unit the front and back of the house by allowing servers to take more efficient orders and the ability to enter clear details for cook staff. Once entered on the POS interface, orders can be instantly delivered to the back without gaps or miscommunication. Information is sent directly to the right area of the line to improve workflow and eliminate communication errors. The inventory management needs of a restaurant are very different than those of a retail store. Some POS systems allow for ingredient-level inventory management in real time, sometimes even with the ability to send a purchase order through the system. Mobile payments are on the rise and they definitely aren’t going anywhere. Accepting mobile payments at your restaurant can improve sales and give customers the option to use their preferred payment method. If your restaurant is in a metropolitan area, college community, or has a younger clientele, mobile payment support is a must when choosing a merchant services provider and POS. If your restaurant offers food delivery, it’s important to have reliable support for off-site payment processing. Handling your own deliveries with a robust system that supports mobile payments and online orders can help your restaurant maintain its margins without costly commissions charged by third-party food delivery companies. POS systems have become very comprehensive over the last decade and many now include a variety of features that can help you manage your restaurant such as check splitting and tip support and support for online reservations that may be built-in or integrated with OpenTable. Daily Sales Report (DSR) or end-of-day report. This ensures your expected cash at the end of the day is what you expect. Comp and discount report. This tracks discounts and promotions you offer and it may be used to spot potential food preparation or training issues to address. Product mix report. This can be used to calculate food costs, measure kitchen performance, and make menu changes to improve margins. Transfer report. This shows items that have been transferred from one ticket to another or to another employee. This can help you catch employees who steal by moving items off one ticket to another when customers pay in cash. No-sale report. This shows when an employee rings up an item and hits “no-sale” to void the transaction and open the register. Void report. This shows when items are voided often and it can identify theft or training issues. Labor summary report and timekeeping report. These reports help you keep labor records, submit accurate payroll numbers, and schedule staff on your budget. Looking for the right POS system for your restaurant? Host Merchant Services offers comprehensive restaurant merchant service accounts, free payment processing equipment, and Bonsai Point of Sale, a cutting-edge and customizable POS system developed for restaurants. Get started today with no term agreements, no cancellation fees, and no hidden charges to get the payment tools you need to grow your business. Rates starting at 0.25% and NO EMV/PCI Fees! – Request your quote now! 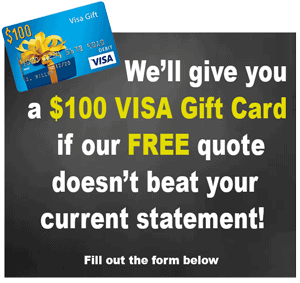 Do you currently take credit cards?